More and more businesses are turning to Action Shred for hard drive destruction in Dallas. Competition demands that businesses upgrade IT equipment regularly. Managing the data stored on outdated equipment poses a major challenge. Privacy legislation and consumer concern about identity theft make document shredding, data and hard drive destruction for Dallas organizations complicated. Fortunately, Action Shred provides practical shredding solutions for companies facing these complex issues. Everyone gets excited when it’s time to upgrade. That new computer, smart phone or monitor makes work easier and more fun. But what should you do with the old equipment? It is no longer enough to simply reformat a hard drive as a secure methodology for disposal. Action Shred helps Dallas companies create a plan for the effective destruction and disposal of hardware related media that is private, secure, irreversible and environmentally friendly. On top of it all, Action Shred offers convenient mobile shredding and hard drive destruction services, and responsibly recycles every item we receive from your company. 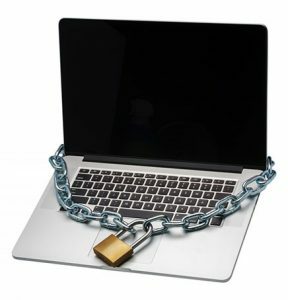 Your stored data on unused or discarded computers and laptops is a goldmine for the wrong person. Identity thieves, competitors, or disloyal employees can take your company down with the digital information stored on a single hard drive. That storage room filled with obsolete PC’s and laptops is a serious security vulnerability to your company for anyone who has malicious intentions. In today’s high tech world, even digital copiers store sensitive information that must be managed before discarding or updating your equipment. In August 2013, under a settlement with the U.S. Department of Health and Human Resources, Affinity Health Plan Inc. settled potential violations of the HIPAA privacy and security rules for $1,215,780. The settlement stated that Affinity had exposed 344,579 individuals to the data breach because of their failure to erase data on multiple photocopiers they had returned back to leasing agents. In October 2013, Seton Healthcare in Austin, Texas reported that a laptop had been stolen from the Seton McCarthy Clinic exposing the personal data of nearly 5,500 people including information like social security numbers, home addresses and insurance details of the individuals. Citing research from advisory firm Forrester, PC World notes that external security attacks only make up about 25% of the total number of security incidents. Lost or stolen devices account for 31% of data breaches and inadvertent misuse by an employee accounts for 27%. Don’t take chances with your electronic data. Instead, rely on Action Shred’s data destruction in Dallas to absolutely purge your company’s used hard drives. Action Shred utilizes a process to crush the hard drive platters and control board rendering the disc unusable and the information irretrievable. We provide an audit trail and official Certificate of Destruction, proving your data has been thoroughly destroyed. For secure data and hard drive destruction services in Dallas, contact Action Shred at 214-352-0113 today.